In 1978, John Carpenter’s Halloween changed of face of horror forever, slashing box office records with its low-budget approach and white-masked boogeyman. Thanks to a story written by Carpenter and Debra Hill, horror was relocated from its usual cemetery and haunted house-type settings to our very own suburban doorsteps as Michael Myers, a recently escaped psychiatric patient stalked teenager Laurie Strode and her friends for absolutely no apparent reason. Made for a modest $300,000, the movie banked $70 million worldwide, inspiring a slew of sequels and spawning a crop of copycats in its wake. The rise of the slasher film was here. The Ringer’s new Halloween: Unmasked podcast looks to deconstruct the film with its eight-episode series about how Carpenter’s movie stabbed its way into the hearts of fans. The series will contain conversations with serial killer historians, film critics, child psychologists and fear analysts, in addition to the film’s cast and crew (Jamie Lee Curtis, included), to find out why Halloween will remain forever etched into the tapestry of horror cinema and pop culture. Episode 1 (now available) explores Carpenter’s childhood in the civil rights era South where the hatred he viewed as a child would influence the character of Michael Myers. Later episodes will conduct a deep psychoanalysis of Myers and investigate the obsession of Dr. Loomis. Curtis will also discuss how she followed in her mother’s horror footsteps and why the movie’s sequels and copycats made her want to quit horror forever. There will also be plenty of buzz surrounding the 2018 Halloween, shining a light on how Laurie became a survivor, a grandmother and quite possibly a PTSD-ridden doomsday prepper. The series cuts deep, discussing the after-effects of physical trauma on female survivors and the dangers of a mentally ill killer with a fragmented mind. 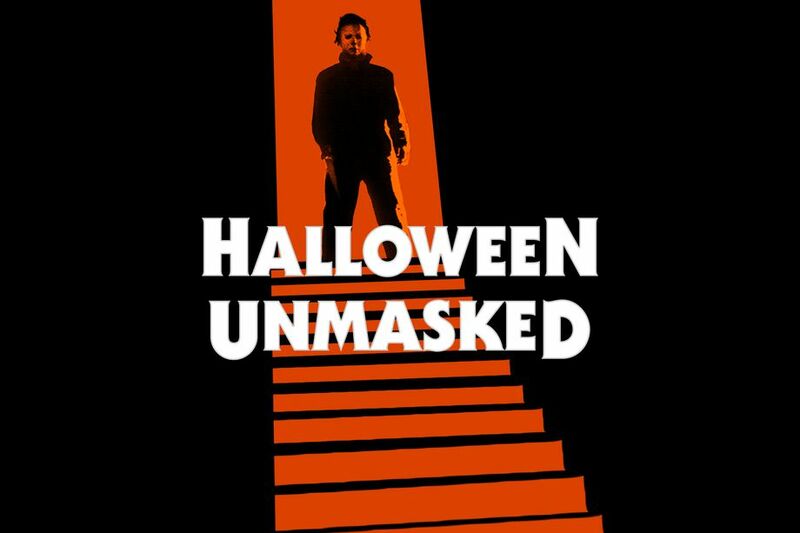 If you’re looking to get hyped to see Curtis and Myers on the big screen again, check out episode 1 of Halloween: Unmasked now wherever you download podcasts. Halloween opens nationwide on October 18.